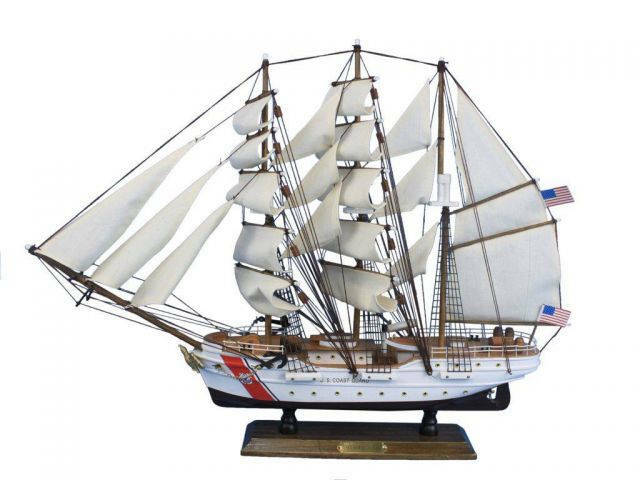 The legendary cutter USCG Eagle is proudly recreated here in stunning detail, bringing the joy of this awe-inspiring ship to your home. One of only two remaining active commissioned sailing vessels in the United States Navy, the Eagle continues to serve with pride and distinction, the training vessle for every young Coast Guard officer candidate. 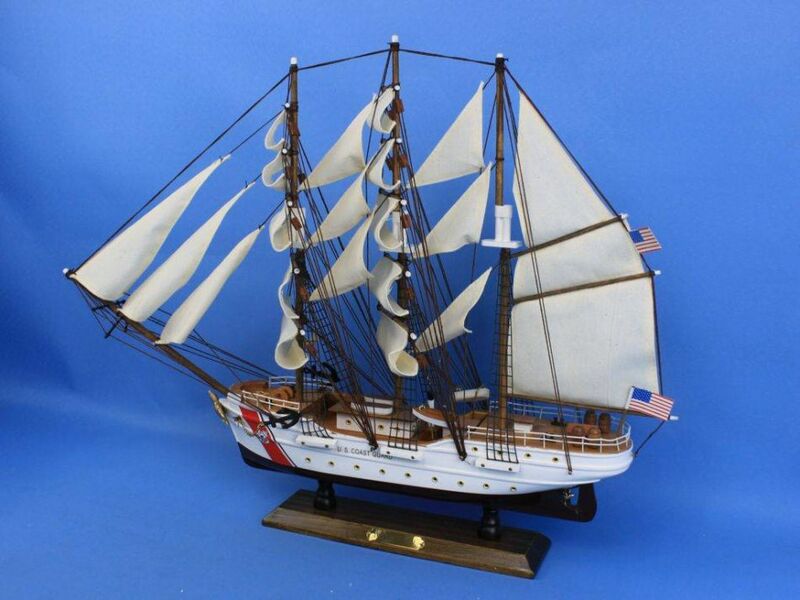 Place this fabulous model atop the mantel or on your desk, grace any room with its presence, and feel the indomitable, patriotic spirit of the high seas. 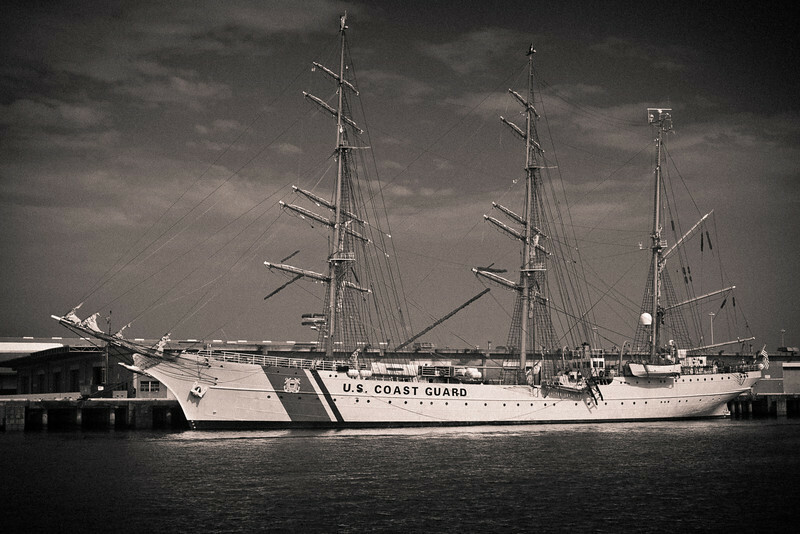 As one of three sailing training ships, built in pre-World War II Germany, the USCG Eagle began her legendary career at sea as the SSS Horst Wessel. 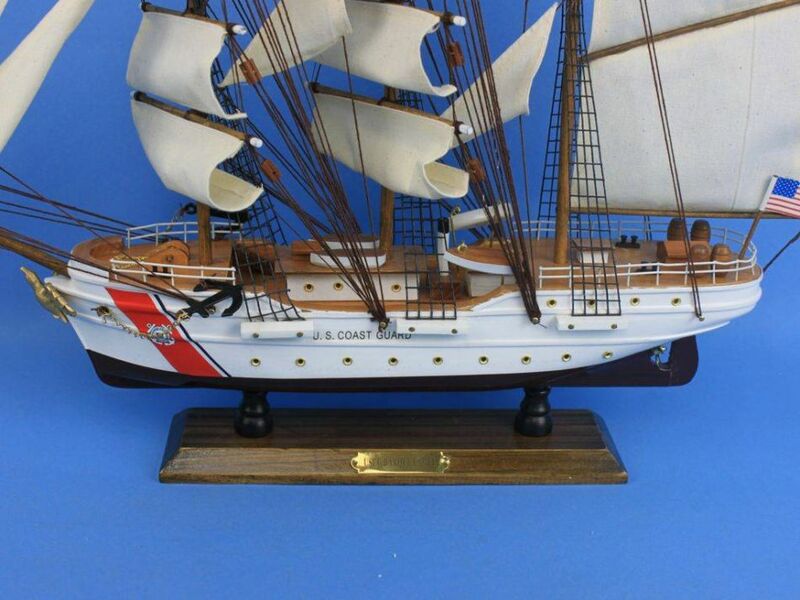 Designed by John Stanley as a Gorch Fock class cutter, she was launched on June 13 1936, completed on September 16, and was commissioned the following day. Present at the launch and christening were Adolf Hitler and the Nazi politician Rudolph Hess. Constructed by the historic Blohm and Voss Shipyards, the SSS Horst Wessel emerged at 295 feet long, weighing 1824 tons. 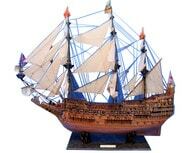 Powered by engine and sail, she operated with three masts and a 1,000 horsepower diesel engine. Two full length decks and one lower platform deck were all crafted from solid steel, with a hull that was four-tenths of inch-thick. For the quarterdeck and forecastle, steel was overlaid with rich teak, three inches thick, for both strength and classic aesthetics. Commanded by Captain August Theile, the Horst Wessel set out on numerous training exercises throughout the waters of coastal Europe and the Caribbean. As the flagship of the Kliegsmarine sail training fleet countless sailors learned war-time tactics while aboard her decks before she was decommissioned in 1939. Between 1939 and 1942 the Horst Wessel continued to serve as a training ship while she was docked at port before being recommissioned in 1942. Though she was not an integral part of the offensive German strategy at sea, she was outfitted with two 20mm anti-aircraft guns on the bridge, another two on the foredeck, and two quad guns along her midsection, making for a fearsome warship both to naval and aerial enemies. Following the end of World War II, the SSS Horst Wessel was adopted by the United States and commissioned into service for the Coast Guard on May 15, 1946. Rechristened the Eagle, she sailed from Bremerhaven, Germany the following month, to her new home in New London, Connecticut. 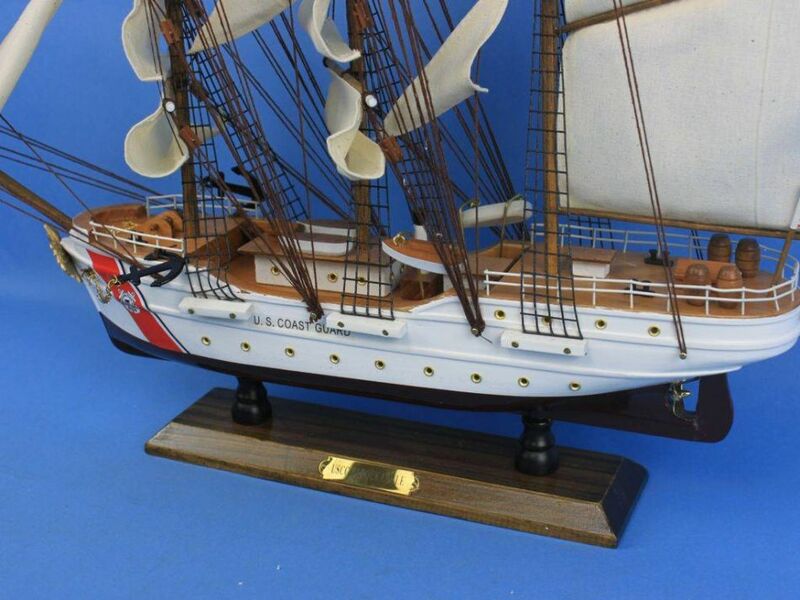 As the sixth American vessel to take the name Eagle, the first dating to 1792, she found her new homeport on the Thames River alongside the United States Coast Guard Academy. 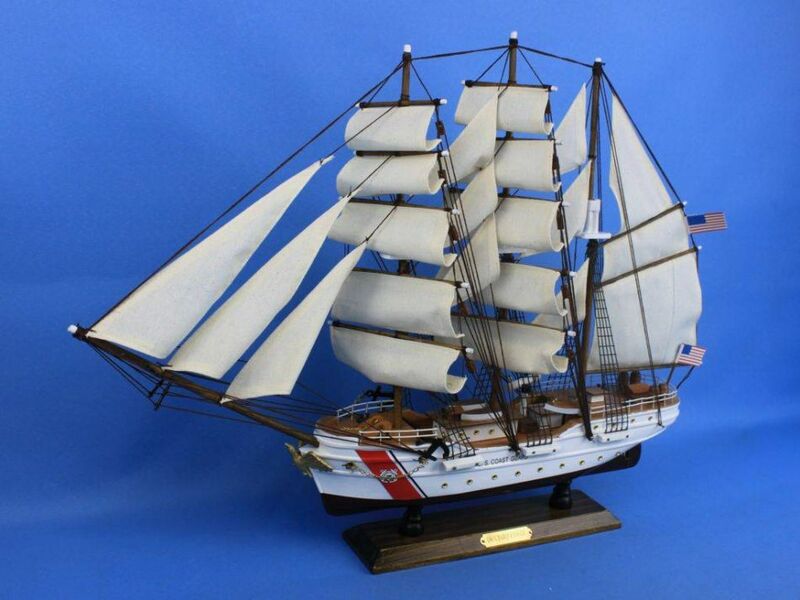 Continuing her original purpose, the USCG Eagle became a training ship for countless Coast Guard students and remains America’s only active square-rigger vessel . The USCG Eagle gives officer candidates a unique experience at sea, and the opportunity to out to practice the skills they have learned in the classroom. Venturing out on numerous training courses throughout the year, upper class students are afforded the chance to practice leadership skills while underclass men and women act as the crew. With over 22,000 feet of sails and more than five miles of rigging lines, each student is expected to know and comprehend each line’s name and function and how to operate it correctly. 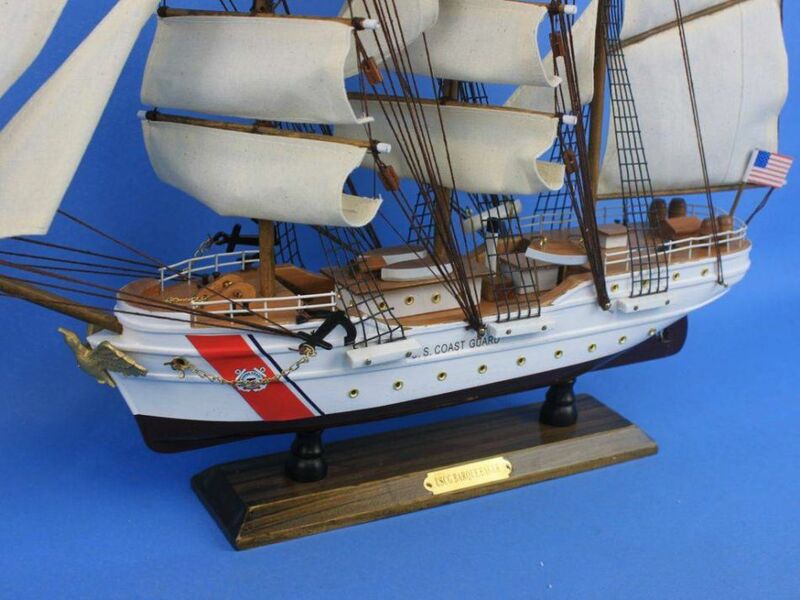 Throughout the decades since her commissioning into the United States Coast Guard, the USCG Eagle has also served as a diplomatic ship, cruising to foreign countries as an ambassador, and participating in Tall Ship races. On July 1, 1972, on her return to port, the Eagle suffered a severe accident while attempting to pass below a bridge. As she passed under the new sister bridge near the Gold Star Memorial Bridge, both the fore and main masts broke above the highest crosstrees, leaving large pieces of mast hanging precariously above the decks. Four years later her previously pure white hull was given its distinctive red racing stripe, creating the striking image seen today. 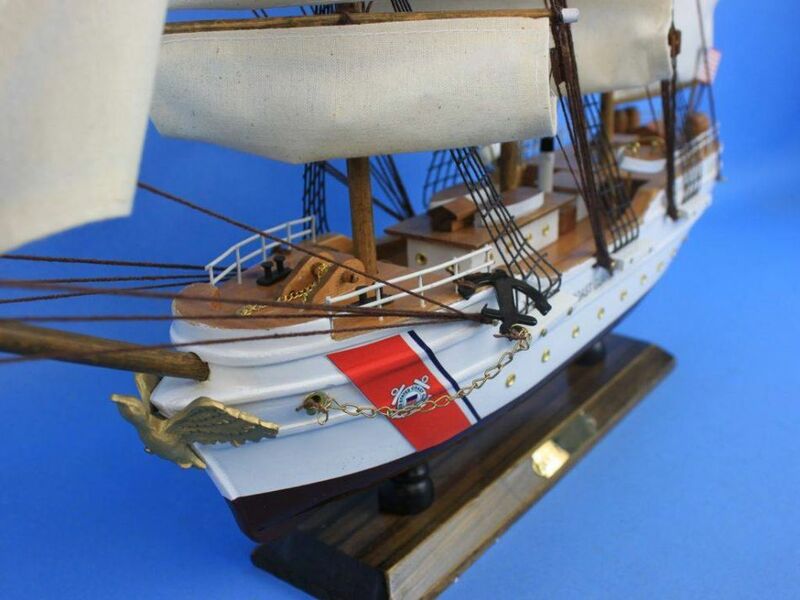 Continuing with her mission, the USCG Eagle sails across the globe to this day, cruising to Australia, making appearances at fleet reviews and Tall Ship festivals, and in 2005 she returned to Bremerhaven, Germany for the first time since the end of World War II. Each year she takes one long training cruise to the Caribbean or Pacific Coast, or along the Atlantic coast of Europe and America. 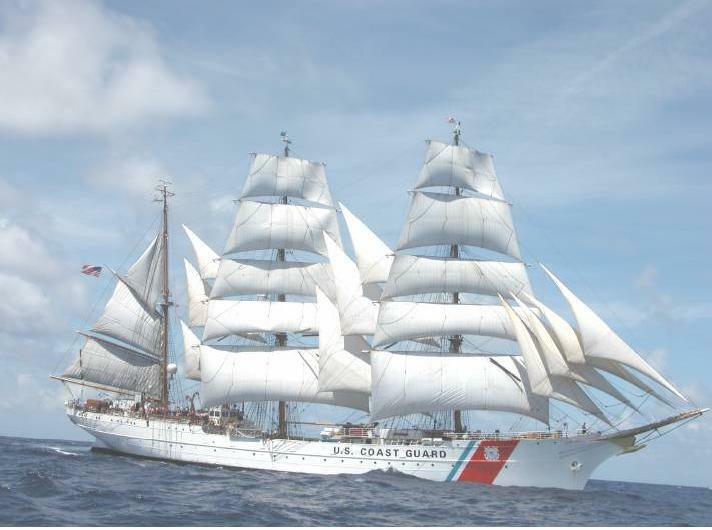 As of this year the USCG Eagle celebrates her 75 anniversary, still training students as she always has, still gliding through the seas as proudly as ever, and still a shining example of the beauty, grace, and magnificence of a true sailing vessel.